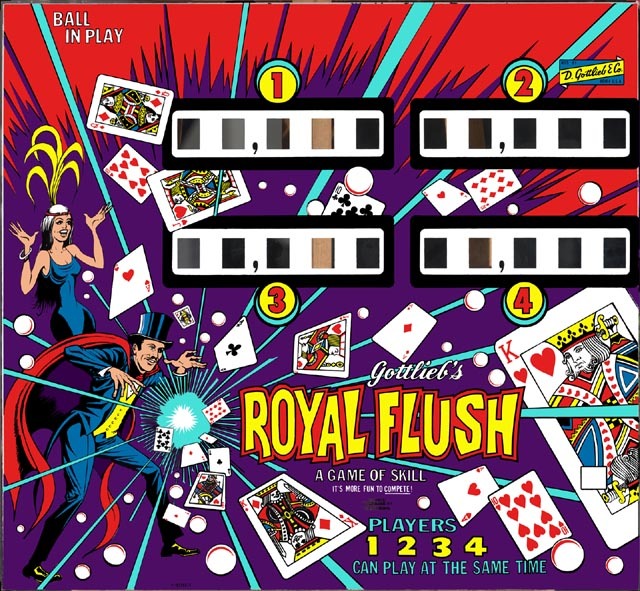 The 1976 Gottlieb Royal Flush is definitely one of those classic EM pinballs (4 player version of Card Whiz). Certainly one of the best multi-player EMs of the 1970s. So when a glass came in for restoration, we were all for doing the work! 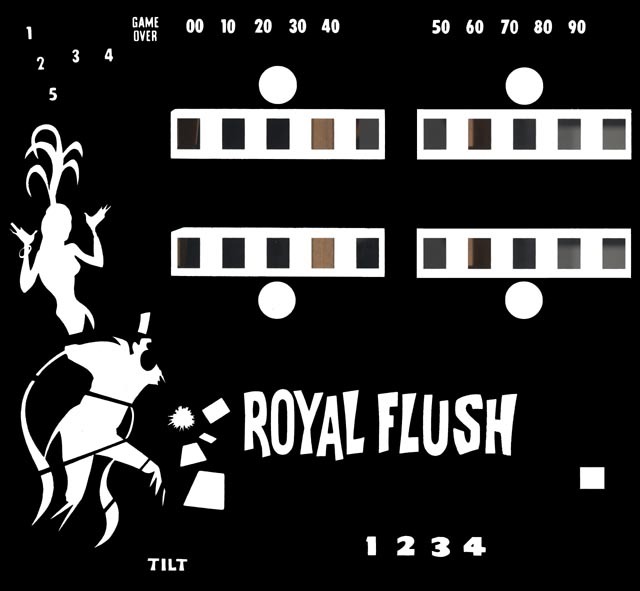 The owner had an extremely nice game, and his backglass was quite nice too. The only flaws was lots of fading in the red areas, and the infamous Gottlieb “tape marks.” Gottlieb used foam tape on the back of their glasses so it didn’t rattle inside the backbox frame. Unfortunately the adhesive used on this tape often reacts with the silk screened inks, causing discoloration and/or fading. There were five rather large tape marks on this glass, and the owner wasn’t happy about that. So we scanned in his glass, cleaned up the flaws, and restored his glass to like-new appearance. Below are the before and after pictures.